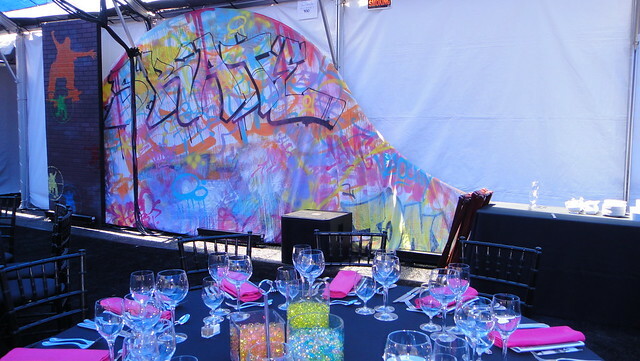 1AM added graffiti swag to Lawrence Hall of Science‘s “See.Taste.Do” Gala. The gala was an event to raise money for science education in the US with the most famous skateboarder in the world, Tony Hawk. 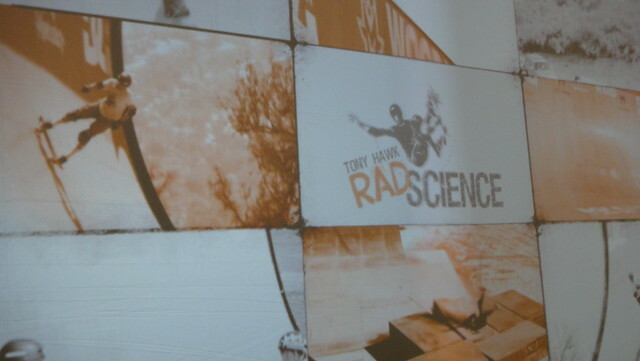 They also opened their newest exhibition “Tony Hawk | Rad Science“, an exploration of the physics behind gnarly skate tricks. So, when they asked us to create the event set design, we jumped at the opportunity and asked how high. Since we are strong supporters of education and empowerment of the youth, we felt that we were in good company. Lawrence Hall of Science is making strides to increase the quality and quantity of science and math education in schools. They are trying to make an impressionable difference on students by making learning fun, interactive, and relating it to their interests. 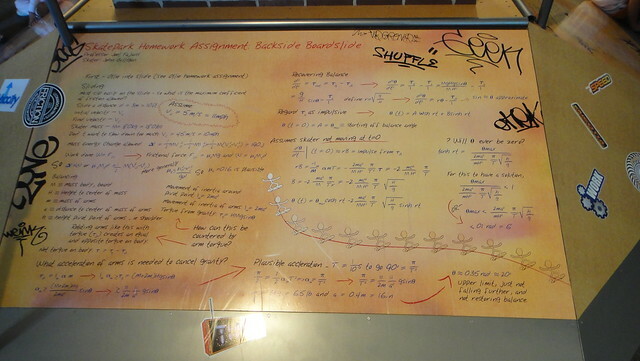 Physics course curriculum including skateboarding tricks? Sign us up! We would have gotten an A back in the day. With the severe budget cuts in our public school system, we are glad to know that institutions like Lawrence Hall of Science are keeping it fresh for the kids. 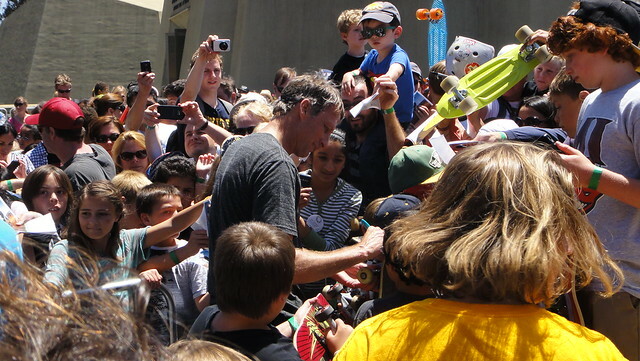 “Tony Hawk | Rad Science” exhibit is now up through September 2nd, 2012. 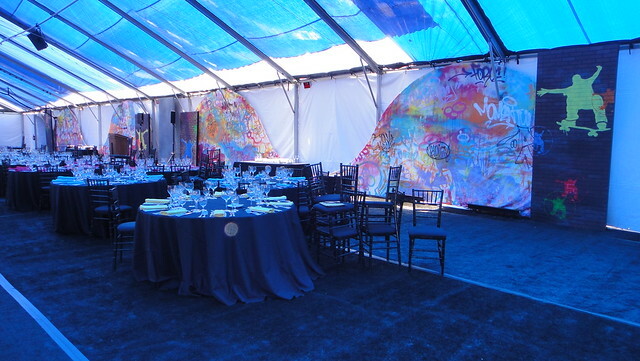 Big thanks to Jinee, Janet, and John Murray event design! 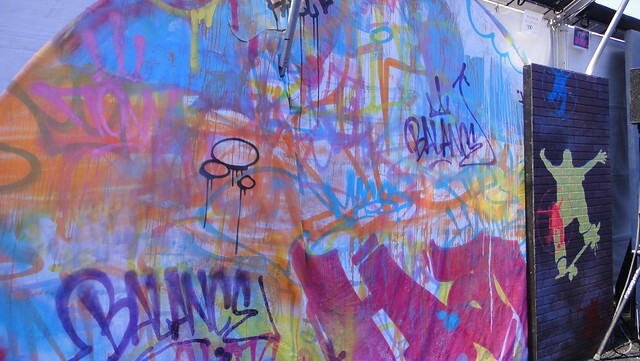 If you would like to add some graffiti style to your next event, email us at info@1AMSF.com.